W. W. Norton & Company, 9780393239256, 336pp. To his contemporaries in Gilded Age Manhattan, Guillermo Eliseo was a fantastically wealthy Mexican, the proud owner of a luxury apartment overlooking Central Park, a busy Wall Street office, and scores of mines and haciendas in Mexico. But for all his obvious riches and his elegant appearance, Eliseo was also the possessor of a devastating secret: he was not, in fact, from Mexico at all. Rather, he had begun life as a slave named William Ellis, born on a cotton plantation in southern Texas during the waning years of King Cotton. After emancipation, Ellis, capitalizing on the Spanish he learned during his childhood along the Mexican border and his ambivalent appearance, engaged in a virtuoso act of reinvention. He crafted an alter ego, the Mexican Guillermo Eliseo, who was able to access many of the privileges denied to African Americans at the time: traveling in first-class train berths, staying in upscale hotels, and eating in the finest restaurants. Eliseo's success in crossing the color line, however, brought heightened scrutiny in its wake as he became the intimate of political and business leaders on both sides of the US-Mexico border. Ellis, unlike many passers, maintained a connection to his family and to black politics that also raised awkward questions about his racial status. 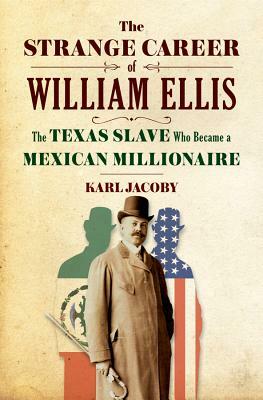 Yet such was Ellis's skill in manipulating his era's racial codes, most of the whites he encountered continued to insist that he must be Hispanic even as Ellis became embroiled in scandals that hinted the man known as Guillermo Eliseo was not quite who he claimed to be. The Strange Career of William Ellis reads like a novel but offers fresh insights on the history of the Reconstruction era, the US-Mexico border, and the abiding riddle of race. At a moment when the United States is deepening its connections with Latin America and recognizing that race is more than simply black or white, Ellis's story could not be more timely or important.